THE OMBUDSMAN ALERT: What Can be Done to Preserve Our 2019 Salt Deductions? Most New York taxpayers who choose to itemize when filing their federal tax returns are now aware of the new federal tax laws, which limit taxpayers to a maximum of $10,000 when claiming their State and Local Tax (SALT) deductions from their future federal tax returns. This represents a major change in the tax laws that discriminate against homeowners in states with particularly high property taxes such as New York, New Jersey, Connecticut and California. For homeowners in Rockland County, property taxes alone (including school taxes) may easily exceed this $10,000 limit. In a well-meaning attempt, our New York State lawmakers passed a bill in April of this year (as part of the 2018 budget) to permit all counties, towns, villages, school districts, etc. to re-characterize their taxes as “charitable contributions” so that these monies would be eligible for a tax deduction on the tax returns of those individuals who choose to itemize instead of merely taking the standard deduction (which has increased to $12,000 for a single filer and $24,000 for married joint filers under the new tax law). 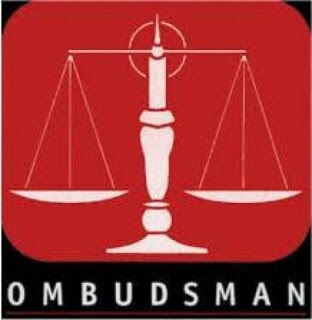 When this Ombudsman checked with several of the Rockland County School districts to find out if they had set up a mechanism to collect charitable payments instead of taxes, their answers were “No,” since they were fearful that these “charitable deductions” would be rejected by the IRS and the school taxes are due to be paid by the end of next month! They all admitted, however, that the inability of taxpayers to deduct the entire SALT on their itemized returns could represent a major stumbling block in convincing homeowners to go along with needed higher school budgets in the future! Our Congresswoman Nita Lowey co-sponsored HR 4740, the SALT Deduction Act, together with Congressman Peter King. This bi-partisan bill is now before the House Ways and Means Committee and there is a good chance it will be passed by the US House and Senate in 2019, and hopefully be signed into law by President Trump. The new tax law will influence many taxpayers from states like NY, NJ, CT and CA, who in past years contributed to the worthwhile charities in the US, since it was prudent to itemize when the entire SALT deduction was available, to now consider taking the nearly doubled standard deductions instead. This, in turn, may lead to a lessening or even an abandonment of their donations to these charities, since those donations will no longer be deductible on their income tax returns! For all of the above reasons, our readers should get behind the Lowey-King Bill now before the US House of Representatives and urge its passage!